If there’s one certainty in this world it’s that the Overwatch community is an incredibly talented one. Head to Reddit, Tumblr, or one of the many community gathering spots and you’ll see all sorts of homages to Blizzard’s massive shooter, including amazing cosplays, comic strips, memes, and beautiful pieces of artwork. If you’re a contributor to this ever-growing collection, you can be safe in the knowledge that your work is being seen and admired by the Overwatch team. In fact, your art may even be on the walls at Blizzard HQ. Love Overwatch? You’ll dig the best multiplayer games on PC. 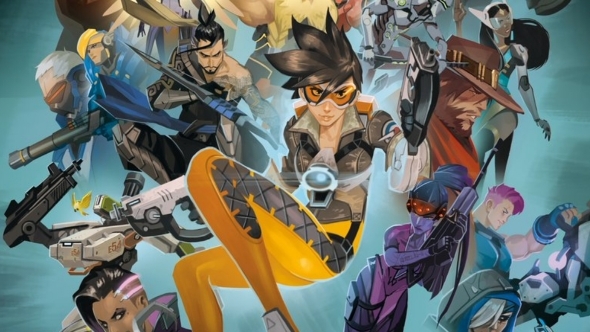 Keller went on to explain that the quality of the fan art is so good that the team decorates the Blizzard studio with printed copies of it. The Overwatch team test the the game twice daily, and the email alerting the developers about the 6pm test always comes accompanied by a fresh piece of fan art. So if you’ve produced something recently, your artwork may well be attached to the next Overwatch test email. Pretty neat, eh?